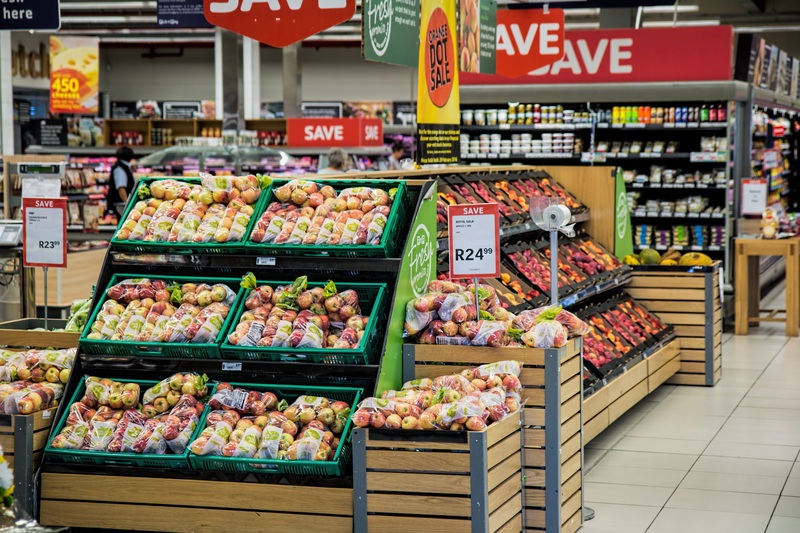 Slowing population growth, delivery demands and growing competition for fresh food and private label sales have created a "recipe for disaster" for traditional food retailers, according to a new consumer survey from Wolfe Research. Restaurant delivery is cutting into grocery spending and changing the way people purchase food, the survey of 1,700 consumers found. More than 50% of respondents aged 18 to 29 said they use meal delivery services or plan to in the future​. Grocery delivery is also growing, and while that is positive for retailers, it cuts into profit margins and requires greater investment, Wolfe analysts noted. Private label spending will also have a major effect on grocery purchasing. According to the survey, nearly 40% of respondents indicated that they are more willing to buy private label today than they were a year ago, and more than 20% said they’d expect to spend more on private label items over the next year. That delivers up sales for grocers — but also to discounters like Aldi that are increasing price competition across categories. The grocery industry, and particularly conventional supermarkets, has been under pressure for some time now, and based on these new findings, operations are only going to get more difficult. While grocers have already acknowledged many of these challenges, such as trends toward fresh food, growing e-commerce demand and the impact of Amazon, the findings from Wolfe Research indicate these changes are accelerating. The prevalence of delivery and the desire among consumers to have complete meals dropped at their doorstep is among the most daunting findings for grocers. Wolfe Research said the growth of restaurant delivery apps indicates that food-away-from-home purchases, which has eclipsed food-at-home purchases, will continue to gain share. The firm projects that delivered restaurant meals will become a readily available substitution for home-prepared and store-purchased meals. This could hit retailers hard, particularly those such as Sprouts Farmers Market and Kroger that have invested heavily in prepared foods and ready-to-eat meals, and it’s compounded by the finding that 41% of respondents say they plan to purchase fewer prepared foods and ready-to-eat meals. Fresh food purchases will continue to increase among consumers as they decrease their spending in other categories. About 39% of those surveyed said they planned to buy more fresh fruit and vegetables, and 24% intend to increase fresh protein spends. This would seem to be an advantage for traditional grocers, but the challenge in fresh is that younger consumers are not making fresh purchases at these outlets as much as other demographics. About 80% of people responded that they buy fresh from grocery stores and 30% from mass merchandisers, but shoppers aged 18 to 29 buy more fresh from mass merchandisers than other demographics. Millennials, in particular, are turning away from traditional produce departments, according to the Food Marketing Institute’s 2019 Power of Produce report. To win in the fresh category, FMI noted, have to be diligent about drawing shoppers across demographics. Meanwhile, 29% of respondents plan to decrease their packaged food purchases and 34% say they plan to purchase less frozen food. Not only is this shift in shopper tastes going to affect how grocers operate, it's already had major implications for food brands such as General Mills, which is fighting to stay relevant with acquisitions, new offerings and product refreshes. The survey also addressed the threat of Amazon for traditional grocery, but noted that the e-commerce giant, too, is at risk. About 58% of respondents report they are Prime members, but Wolfe Research suggests that Amazon needs to make consumable offerings more appealing to drive growth — especially since just 10% of shoppers say they purchase dry groceries online, and just 3% purchase fresh meats and produce. One advantage for Amazon is that as more shoppers buy online, CPG companies are increasingly shifting trade spending to Amazon instead of traditional retailers. The survey finds that shelf-stable grocery and household essentials are further moving online, which could drive traditional grocery stores to lose market share and see increased consolidation. While private label is on track to drive sales for grocers, it also drives competition, giving chains such as Aldi an advantage over traditional retailers. An increase in private label offerings can also deflate prices on both branded and private label items, and cut into profits for retailers, the report said.